October 15, 2010 Last year on Blog Action Day more than 13,000 bloggers participated from 152 countries to shine the spotlight on climate change. Shaping Youth’s post was all about inspiring kids as stewards of the planet with Cool the Earth and Jane Goodall’s Roots & Shoots school programs. This year, the topic is WATER, so I figured, ‘what a cinch, I can write about Saved By The Well and Play Pumps International, or about Global Leaders for Justice or my amazing young Masai pal Sabore Oyie’s outreach to keep kids safe from the lions on their daily trek to access well water…Easy peasy. 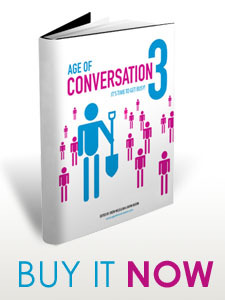 Plus, our collaborative global marcom team authored the probono Age of Conversation 3 to benefit Charity Water…perfecto! But when I read the fine print of today’s massive blog action day with fresh eyes and it deeply disturbed me: “Today, more than 5000 bloggers from 130 countries are coming together for a single day of blogging about a single topic: water.” Wait a sec. Really? Did I read that right? If so, that’s some serious attrition in numbers. WATER is the very core element of our being, and access to it is one of the world’s biggest global conundrums. Are people hunkered into a “Charity Shmarity I’ve gotta take care of myself” economic downturn pragmatism? Are we as a society more concerned about dirty laundry of celebrities than dirty water for children? I’m gonna go with ‘yes’…AND now convince you why Age of Conversation 3 is a ‘must buy’ today NOT just to selflessly benefit Charity Water, but to benefit YOU. “Each and every penny of book profits will be donated to charity:water, a non-profit organization bringing clean and safe drinking water to people in developing nations. 100% of public donations directly fund water projects. .
How do you join the Bum Rush for Age of Conversation3 to benefit Charity Water? “Generate more sales of books at Amazon.com. 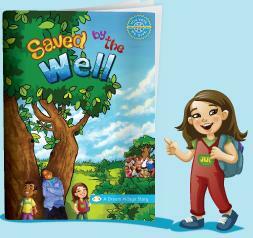 Purchase it for yourself and encourage others to as well. If you work for an organization that hands out marketing gifts that stimulate the brain, get them to buy multiple copies. They make great gifts for people that want to understand how the future of marketing will look like. 1. If you have a blog, register for Blog Action Day. 2. Write about Blog Action Day, the dire water situation and mention Age of Conversation: Time to get busy. 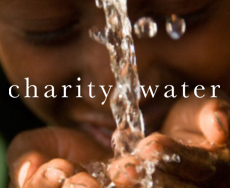 Use the same affiliate links that are in this post so that charity:water can get their well-deserved donation. 3. Join the conversation on Twitter. Use hashtags #aoc3 and #BAD10 for your comments about the book. 4. Trackback or comment on today’s post about the Bum Rush at Age of Conversation. 5. Digg, Stumble and bookmark on Delicious.com all the posts you see about the event, including yours. 6. Become a Facebook fan of Age of Conversation 3 (”AoC3″) and interact with us on Facebook. And you now have 171 marketing minds ready and willing to ‘teach and tell’ so you can leverage all of that social media goodness for your OWN self interest, business, blog, kids’ prosocial products, or nonprofit cause. Is that enough reason to get you onboard? Help charity: water through Age of Conversation3. It’s a win-win. Something for all of us. For them. For you. And…most of all, for the kids and the future of our planet. Here are links to my posts about our Age of Conversation probono global blogger team headed up by our illustrious editors Gavin Heaton in Australia and Drew McClellan in Iowa…Amazing gents, and generous souls one and all. “…Awhile back I wrote about the ‘virtual walk’ for World Water Day to raise awareness of those in water-stressed regions who often walk six miles or more to bring water to their villages. Continue reading part one here about Dream Village and continue with this two-parter on Shaping Youth about the necessity of water and how to impart the importance to KIDS. 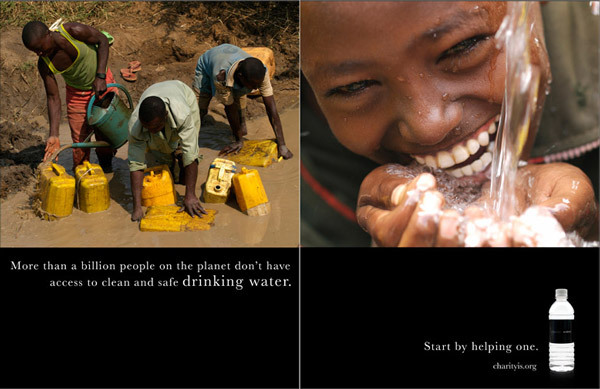 Help CharityWater.org today with your purchase of Age of Conversation 3, right here, right now! 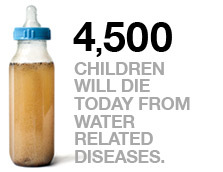 CharityWater.org PSA: What if NYC tap water dried up? Think on it. Thank you for posting about this important topic. I hadn’t noticed the difference in the number of bloggers who participated this year vs. last. 🙁 Thanks for such a thorough post on something too many people take for granted. Someone I know is working in Ghana with the Peace Corps and water is a really big deal there. Much obliged to you for posting about this essential point. I hadn’t seen the distinction in the quantity of bloggers who partook this year versus last. Much obliged for such an exhaustive post on something an excessive number of individuals underestimate. Please visit our website for donation and water purpose.